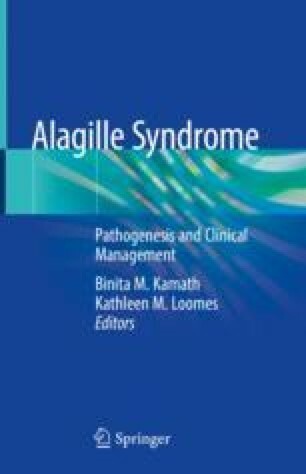 Children with Alagille syndrome are often considered for liver transplantation, for a number of indications that include refractory pruritus and end-stage liver disease. It is a well-established therapy with reasonable success. The multi-system nature of this condition dictates a considered approach to liver transplant evaluation and management in order to assure a good outcome. A Long-Term, Open-Label Study of LUM001 With a Double-Blind, Placebo Controlled, Randomized Drug Withdrawal Period to Evaluate Safety and Efficacy in Children With Alagille Syndrome (ICONIC). https://clinicaltrials.gov/ct2/show/NCT02160782. Referenced 31 Aug 2017.